POWERED BY: 2 x Mercruiser 496 HO Magnum V8 8.1 litre 425hp engines with Bravo 3 Sterndrives with Smartcraft electronic gauges and monitoring. This boat also has and electronic gearshift controls. 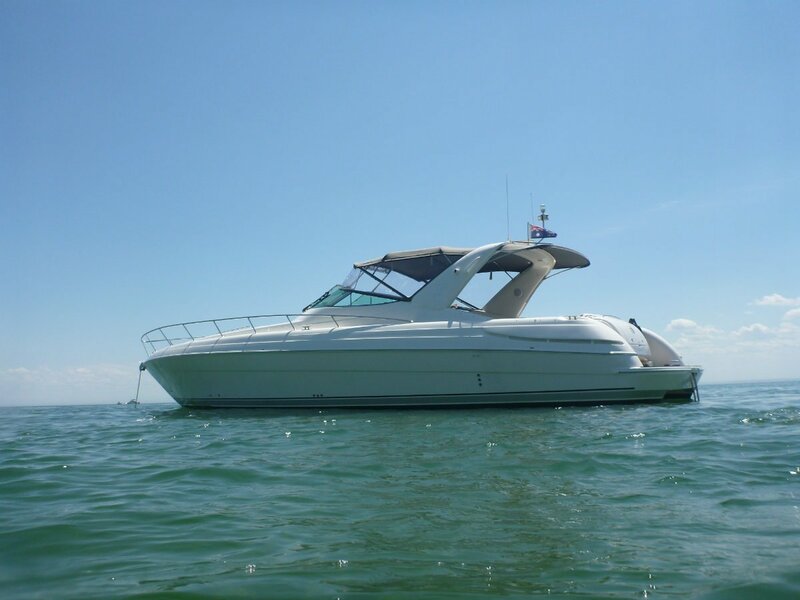 This boat is beautifully presented and would suit the most fastidious buyer as she is boatman maintained and whenever something is required or due it is taken care of immediately. To fully appreciate this vessel an inspection is required as this really is maintained to the highest degree. 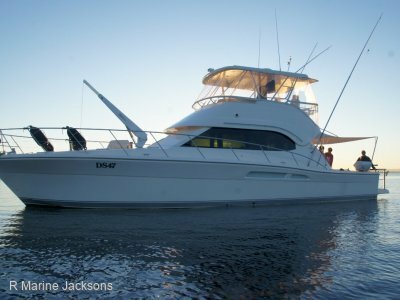 R Marine Jacksons are the sole RIVIERA & BELIZE dealers for Victoria and Tasmania; whilst also stocking the largest range of USED BOATS for sale in Melbourne, with a dedicated on water "sales dock". 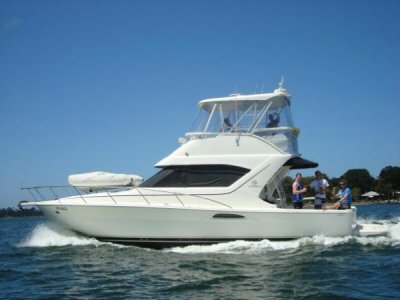 With over 50 years' experience in the marine industry we take the hassle out of buying and selling boats to enhance your complete boating experience. R Marine Jackson's Vic. 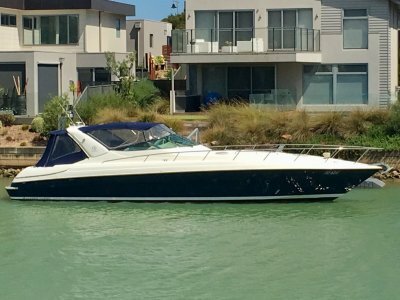 Is based at Victoria`s Premier marina only 20 min from the Melbourne CBD at the Sandringham Yacht Club and we can assist with any boating lessons, finance, Club Marine insurance & interstate transport as required. The Sandringham Yacht Club boasts two restaurants, club facilities for over 1,000 members, a travel lift, 400 berths, hardstand, security, parking, fuelling facilities plus more. Office location: - R Marine Jacksons ; Shop 1/ 36 Jetty Rd, Sandringham Yacht Club, Vic 3191. 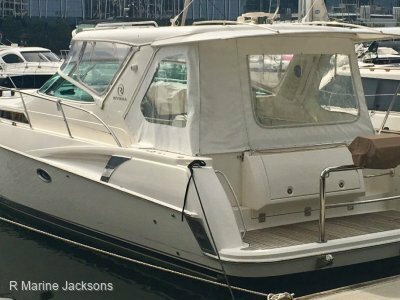 R Marine Jacksons are proud to be a Boating Industry of Victoria Accredited Dealer & Platinum Club Marine insurance agent. *Whist we try to be as accurate as possible for the descriptions, we encourage you to inspect the vessel yourself, as we are not responsible for items and nor do we warrant any items.